Mayor Catherine E. Pugh and the Baltimore Office of Promotion & The Arts announce the recipients of the Creative Baltimore Fund. More than 40 established organizations and individual artists will receive grants from $225,000 available in funding. The Creative Baltimore Fund is administered by the Baltimore Office of Promotion & The Arts. 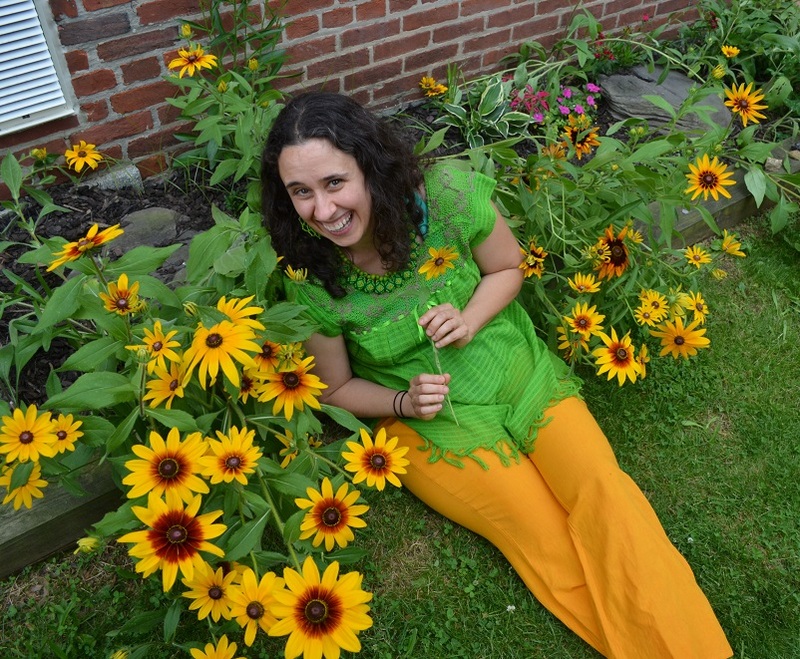 The Creative Baltimore Fund provides support to artists and organizations through two grants. The Mayor’s Individual Artist Award provides project support of $5,000 for programs that promote public access and encourage the breadth of arts and/or cultural programming in the community. Recipients of this year’s award are Bruce McKaig, Lola Pierson, Caitlin Carbone and Josh Thomas, James Carter and Julie Lin. Descriptions of their proposed projects are listed below. 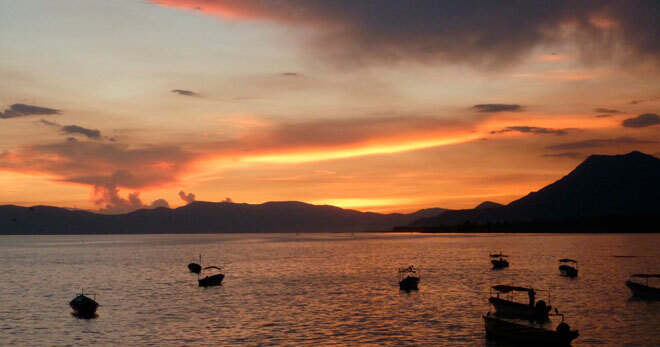 360 XOCHI QUETZAL is an artist and writer’s residency located on enchanting Lake Chapala, Mexico. International writers, playwrights, visual artists, fiber artists, filmmakers, photographers, new media artists, dancers and musicians are all welcome to apply for a FREE 1-MONTH RESIDENCY from Dec 14, 2017 – Jan 13, 2018. Imagine spending the winter working on your art to your heart’s content in sunny Mexico. We have fabulous live/work spaces for you. Apply today for 360 Xochi Quetzal Free Residency in Mexico. Applications are due July 30, 2017 thru CAFÉ www.callforentry.org. We also have a personal residency program for artists and writers who need longer periods of creative time (1 – 6 months) throughout the year. For more details visit: www.360xochiquetzal.com/personal-residency-overview/. This free webinar should be of interest to folks running arts venues. It’s a good introduction to the basics of fire & life safety. Fire and life safety is a primary concern across all industries and an important component of an organizational safety program. Necessary precautions must be taken to prevent and appropriately respond to an emergency at every level of the organization. In this risk management webinar, you will learn about the essential components of an emergency action and fire prevention plan as well as how to ensure your workplace is prepared to respond to such an emergency. 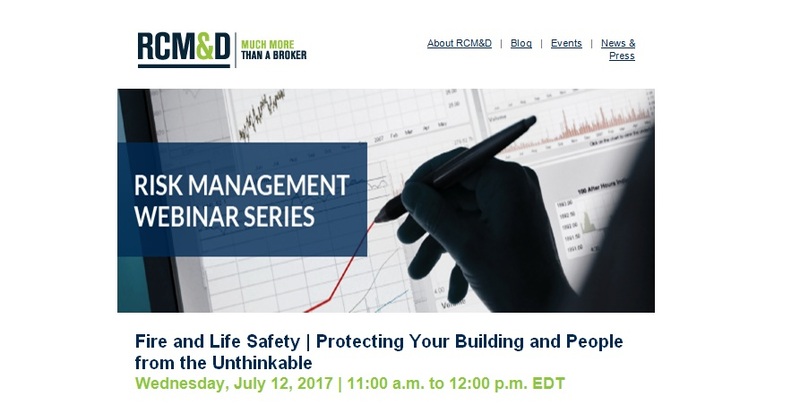 The webinar will be presented by RCM&D Risk Management Consultants Andrew Cranney and Greg Hart. 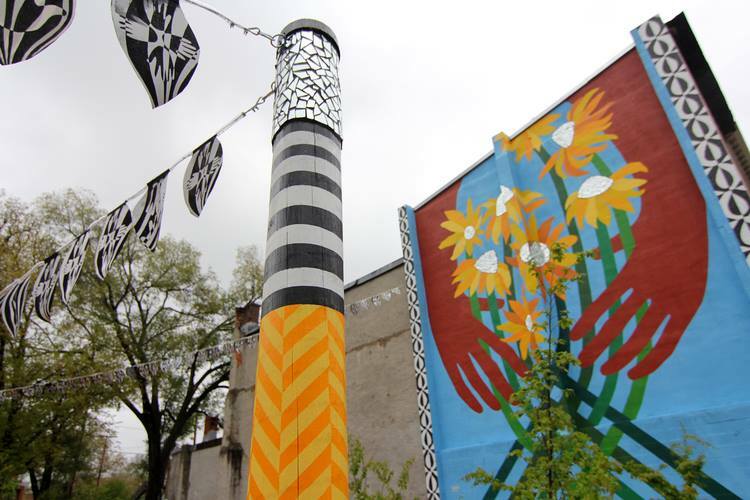 The Baltimore Office of Promotion & The Arts is seeking a dynamic, people-oriented individual with outstanding organizational skills and experience coordinating public art projects to apply for the Community Arts Specialist position. The Community Arts Specialist is a full-time regular, exempt position reporting to the Director of Cultural Affairs. The position is a member of the Public Art Program team. Submit your cover letter and resume (with your name and job title in subject line) as one pdf document by July 24, 2017 to: humanresources@promotionandarts.org. No phone calls accepted. Maryland Art Place (MAP), in partnership La Quinta Inn & Suites, Baltimore Downtown, is pleased to announce an open ‘Call to Artists’. 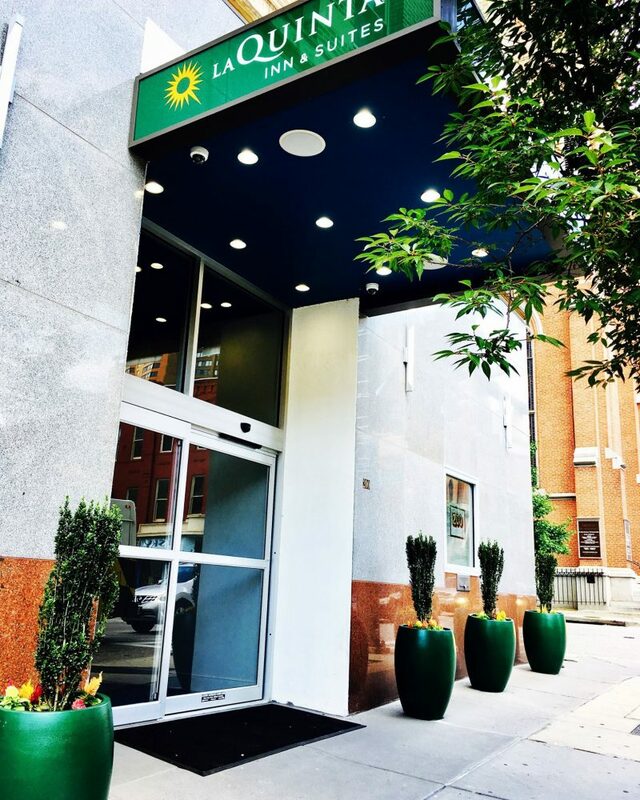 As an extension of MAP’s annual IMPACT Projects, MAP is working with La Quinta Inn to offer a unique opportunity for artists of the greater Baltimore metropolitan area. 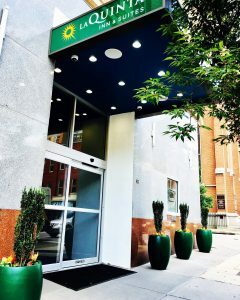 Collectively, MAP and La Quinta Inn wish to produce a mural on the exterior of La Quinta Inn’s entrance this September. The work will be on permanent display on 200 W Saratoga Street in downtown Baltimore. ABOUT IMPACT PROJECTS: IMPACT is an annual, public art program developed to extend Maryland Art Place’s reach to broader audiences bringing the work of living artists into the public eye. Each IMPACT project is unique and developed based on the partnering site. • Mural is requested to be an abstracted or pattern based design. between each panel (where door is). Images can be viewed at the end of this call. • Artists can work individually or in artist group. To apply, please see the following application and required attachments: Please send your application to impact@mdartplace.org by close of business Wednesday, August 2, 2017. 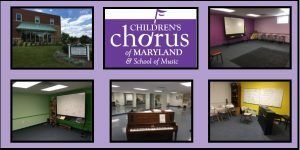 Are you looking for rental space for your art, dance, music, or theater classes? Children’s Chorus of Maryland & School of Music (CCM) is renting out rooms of various size for classes or activities during the week and at select times on the weekends. Proceeds from the rentals will be used to support scholarships for children to attend our music education program. Religious organizations and schools receive nonprofit discounts. Our school is located near downtown Towson and includes free parking! Rooms # 1- 4 have bright colored walls: #1–yellow, #2–green, #3-blue and #4 purple. The largest room, #5, has white walls and recently installed full length rehearsal mirrors. A two stall woman’s and one stall men’s bathroom are accessible to all rooms. Off street, free parking is available in the building’s parking lot. All rooms are handicap accessible. Renters are responsible for moving folding chairs, white boards and minimal furniture out of the way, if needed, and returning the room to its original condition after use. Rentals available for weekly, monthly and year-round schedules. One time use available upon special request. Rates vary based on room size and length of lease. Schedule an appointment to view the rooms. What is your role as BOPA’s exhibitions manager? What does a typical day look like for you? I manage three exhibition spaces for BOPA. With three gallery spaces and a studio residency program, School 33 Art Center is the largest and most complicated operation- I also manage exhibition spaces at Top of the World Observation Level and the Bromo Seltzer Arts Tower. At Bromo, we rotate shows every six months, and once a year we open a new show at Top of the World. School 33, on the other hand, turns over all three of its gallery spaces every two months. So a typical day or week would be a balance of doing studio visits with artists, booking new shows, working with communications to publicize these shows, working with artists and curators to build the shows and to facilitate the needs of the artists, and then of course installing the exhibitions and holding opening events. Those are the basic things, with many little moving parts working to make those things happen. I also manage calls for entry. Every year we have a dual call for entry for two concurrent exhibitions. We hire nationally recognized curators and advertise the call nationally as well. From there the curators choose select groups of artists, responding formally and conceptually to what comes in. Additional calls for entry go out on a yearly basis for our Project Space and Members Gallery. Every two years, we hold our School 33 Studio Resident Biennial. School 33 has a very robust studio program with nine beautiful spaces, and currently we have ten incredible artists in those studios, working in a variety of visual media. Residents work with a mentor/curator, who does a round of critiques with them, then going on to build an exhibition based upon what the artists are currently exploring with their work. Mentor/curators can be professional artists or curators, critics, or professors (and sometimes all or a combination of the above). So that’s what we have coming up starting on June 30, with an opening event on Friday, July 7 from 6-9pm. The Biennial exhibition will run through August 19. Upstairs at School 33 we have our Project Space, for which artists propose installation work, projection, and sometimes even mini exhibitions. We work with the artists to realize these works, which are tailored to the existing space. We work with artists of all skill levels- from emerging to nationally recognized artists, so it’s a bit of a mix. Where were you before BOPA, and what led you here? A lot of different forms of experience led me to this position. I am an artist myself- I create large-scale installation and performance works, having graduated from the Maryland Institute, College of Art with a degree in Fibers. I began curating in my early twenties, working with a collective of artists to form the live / work / gallery space The Whole Gallery at the H&H building (in what is now the Bromo Arts and Entertainment District), where we held many group shows and worked closely with three other floors of artist collectives who each had their own thing going- theatre, music, visual art, et al, to schedule building-wide events. During this time and for about a decade after college I worked in theatre, in all manner of costume- wardrobe, production, design, and management all over the Baltimore and DC area. For about twelve years after this I held a management position at an interior design workroom in Baltimore. I managed the workflow, placing items into production, scheduling site visits and installations, and dealing with clients and designers. The hours were very reasonable, four days a week, so I was able to maintain a robust studio practice and exhibit my work widely. At the same time I was developing and teaching garment and performance based courses at MICA in the Fiber department, and teaching Stage Production at Baltimore School for the Arts as part of their TWIGS (To Work in Gaining Skills) program. I managed all of those things concurrently for a good number of years. I’ve been a part of the performance and visual art community in Baltimore since I was a teenager, working both solo and in many collaborative situations, and in that time I have built up a lot of connections, partnerships, friendships, and resources that I am able to bring to the table. I mounted two large projects at School 33- with my predecessor, René Treviño- A solo performative, participatory installation in the first floor Main Gallery in 2010, and a collaboration with Kelley Bell and Linda DePalma for the Co-Lab(oration) Project- Funded by a grant from the Robert Rauschenberg Foundation in 2013. I have always loved School 33 and all that it has meant to generations of the Baltimore art community for so many years, so In fall of 2014, when I heard that the position of Exhibitions Manager was coming up I thought it would be a good fit for me- and it definitely has been. All of the different things I’ve done so far in my life as an artist, facilitator, curator, teacher, manager, and maker have contributed valuable skills that I use every day on the job here at School 33. What, in your opinion, makes BOPA different from other organizations? We are pretty unique, but I think we are best defined by the incredible amount of things that we do, how those things are connected, and the impact we have on our community. There are so many different types of opportunities for artists through the programs and grants that we offer, and also so many opportunities for the public to engage with art via our programming- School 33, our Public Art and Mural programs, Artscape, Light City, etc. One thing that I talk about with my fellow BOPA Cultural Affairs colleagues a lot is how we are able to offer a path of potential growth for artists through the funding and opportunities that we offer. For example, an artist might have a solo show at School 33 and realize a lot of new concepts and ideas through that experience, while gaining a diverse audience for their work. Then they might decide to apply for Artscape and get a little bit of funding to make a project that can be seen and experienced by thousands of people. Perhaps they then get a large commission to participate in Light City, exposing their work to hundreds of thousands of people and possibly garnering international attention- then moving on to show their work internationally or win more large scale, permanent public art commissions. The mentorship and the resources that we offer- along with the freedom that comes with not being commercially driven- enables us to focus on putting on great shows and events for the public while offering as many opportunities as possible for artists to develop and share their vision. There is nothing quite like what we do. What are the most challenging and rewarding parts of your role as Exhibition Manager? I’ll go with rewarding first. I really enjoy working with artists and being able to spend time with them and understand their process. Since I’m an artist as well, that’s really inspiring to me, too, in my own work. Helping to enable artists to make or do something that they need the time and space and resources to make or do is really fulfilling. One of the best moments of my job is when an artist, no matter their level of skill or experience, is putting a finishing touch on something that they’ve built- when its all finally coming together- just seeing the look of satisfaction on their faces. Sometimes they even squeal or do a little dance! I know what that feeling is like, and it’s amazing to be a part of that. Then of course, seeing viewers’ reactions to their work- and seeing the artist seeing their reactions… absolutely priceless. At BOPA, the most challenging thing is that we all wear a lot of hats and manage a lot of things, but sometimes it can add up to too much of a good thing. Between working on projects for School 33 and for festivals- facilitating large-scale temporary public art projects for Artscape and for Light City, and running an exhibition program and coordinating an art center, it can be a lot at times. The main challenge is finding that balance- I think that’s a common struggle for all of us. We love what we do, but it’s always about energy and timing. Being an artist yourself, does it make it difficult sometimes to try to see things impartially? I don’t know if it’s my job to be impartial- I think everyone brings a piece of themselves into this type of work. I believe that being an artist is a definite strength in this position. As a fellow artist and maker I’m able to know what to expect, how to trust someone and their individual process of working. As someone who has worked collaboratively with artists in many other creative situations I know when to jump in and when to lay off- when questioning something would be an intrusion and when it would help. With my knowledge of many different materials and processes, I also know about the time, labor,energy and emotion it takes to create something. I am also well aware of the financial sacrifices it takes, therefore I do what I can to help mitigate some expenses for artists, especially those mounting new and site specific projects here at School 33. I just try to offer as support as possible, to make the projects that I take on the most rewarding experiences that I can for those involved- experiences that I myself would want to have as an artist.